The Zarafa Collaboration Platform has climbed to the second place of IDG's (German) TecChannel ranking of most popular groupware solutions. 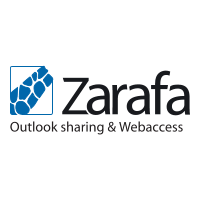 With Microsoft Exchange Server 2010 on top, this means that Zarafa is the most popular open source groupware, outpacing Groupwise, Zimbra, Lotus Notes and Open-Xchange. The ranking is based on the polling of the products by TecChannel readers over 2012. On Thursday, March 7 2013, Malte Jeschke, Editor in Chief of TecChannel, handed over the award to Helmuth Neuberger, Director of Zarafa Germany. Please read article on-line in German and the Google translated English version here.